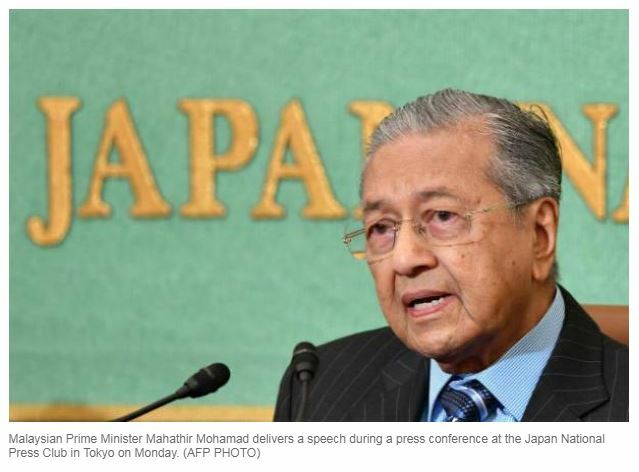 TOKYO: Malaysia’s newly-elected prime minister called Monday for the Trans-Pacific Partnership to be “renegotiated,” and urged protection for small countries in international trade. “We need TPP renegotiated,” he said in a speech to the “Future of Asia” forum. “We have to recognise: Just as there are infant industries, there are infant nations, nations which are just beginning to grow,” he said. The US president has since sparked fears of a trade war by levying steep tariffs and denouncing unfair trading practices, even rejecting a joint communique at the G7 summit over trade disagreement. Mahathir, on his first foreign trip since a surprise election victory last month, said countries like Malaysia needed a helping hand in international trade. “The countries with little capacity to compete must be given due consideration. It is like playing golf… the weakest people get the highest handicaps,” he said. Alliance Bank Malaysia chief economist Manokaran Mottain said that Mahathir, who had a first stint as premier from 1981-2003, was by nature a protectionist. The signatories to the TPP represent 13.5 percent of the global economy and a market of 500 million people.